The Huntington Beach City Beach is a 3.5-mile stretch of pristine shoreline. Popularly known as "Surf City," Huntington Beach is home to the world famous municipal pier, and is a west coast surf mecca for more than 8-million annual visitors. Surf Report recording at (714) 536-9303 updated three times a day. Directions: From the 405 FWY, take Beach Boulevard south to Pacific Coast Highway. Huntington City Beach is directly across Pacific Coast Highway and extends north from Beach Boulevard to Seapoint Street. Beach parking is available in designated locations. 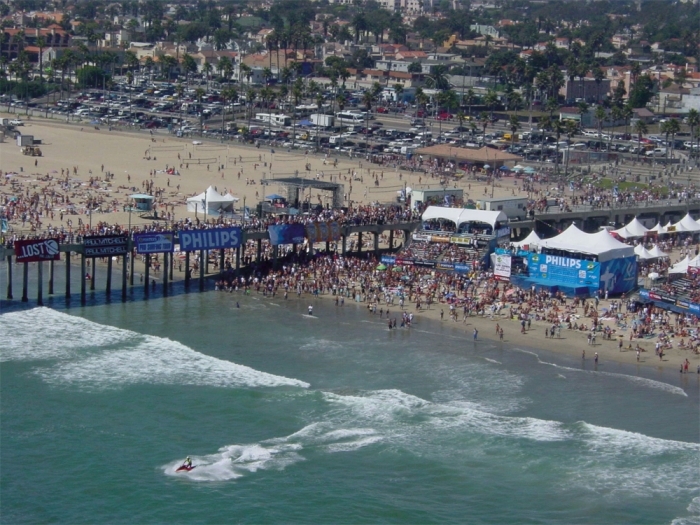 With warm weather, good surf, and crowded beaches, Huntington Beach is a magnet for corporate-sponsored events year-round. 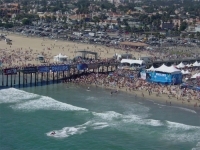 For an up-to-date calendar of events, visit www.surfcityusa.com. Minimum Hours/Use - Less than 3 hours with 20-50 participants that do not require any set-up and do not require additional staff time or city services. These events should not impact the beach public in any way. Minimum Participants - Less than 20 participants with no professional contracted services associated with event. These events do not require any set-up and do not require additional staff time or city services. These events should not impact the beach public in any way. Dogs must be on a leash and are only permitted on the service road and at "Dog Beach"
Barbeque's must be within 6' of a firepit and up off the sand. There are 127 firepits and they are located South of First Street to Beach Blvd. The Police Department provides FREE security checks of your home while you are on vacation! This service is provided courtesy of the HBPD Retired Senior Volunteer Program (RSVP). Sign up online for this free service.